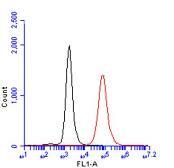 Specificity/Sensitivity: The antibody EM-05 reacts with mouse CD45 antigen (Leukocyte Common Antigen), a single chain type I transmembrane protein expressed at high level on cells of hematopoietic origin, except erythrocytes and platelets. 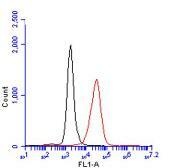 Specificity/Sensitivity: This product reacts with all alternative forms of human CD45 antigen (Leukocyte Common Antigen), a 180-220 kDa single chain type I transmembrane protein expressed at high level on all cells of hematopoietic origin, except erythrocytes and platelets. 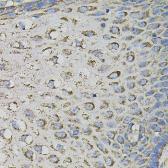 Specificity/Sensitivity: This antibody is expected to regognize all isoforms of murine CD45.